Picture a world-class master baker who spends her days putting delicious cakes, cookies, and soufflés in the oven. She is trying to multi-task, so she shortens the oven cycles. The result is that the cakes, cookies, and soufflés are getting to the oven but they aren’t spending enough time there to bake fully. She’s a master baker, but her soufflés end up soggy. Despite her skill and knowledge, multi-tasking has taken priority, and ruined the product. Sure, she may have saved time, but her deliverables are awful. In the IT world, master bakers are IT personnel who are good at what they do but pressed for time. Soggy soufflés are company projects and programs that end up needing lots of extra help to function even after they have been delivered, because they were rushed through the process in a bid to multitask. Is it Multitasking or is it Context Switching? 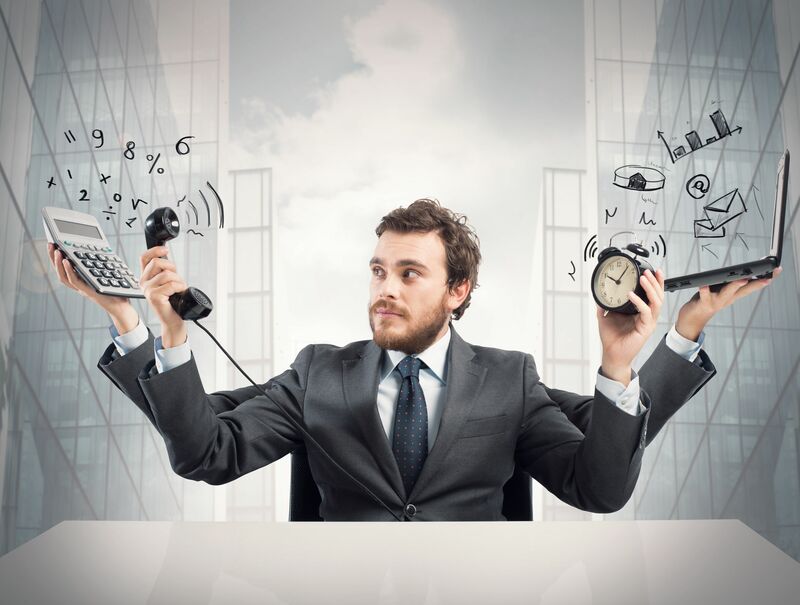 Multitasking is, in fact, not really a thing most people can do. It is practically impossible to perform two tasks at once (remember the old trick of trying to pat your head and rub your stomach at the same time?). While multitasking may seem like the productive thing to do, most people are, in fact, context switching, which is bound to ruin productivity. What feels like multitasking is context switching, or moving quickly from one task to another at what feels like high rates of speeds. This puts your brain and body in a state of stress as you try to keep up. It’s hard to remember information accurately, which can lead to errors, and avoiding deep concentration on one specific task or topic means all of your thinking is just skimming the surface. Multitasking or context switching doesn’t mean that you are giving all of your various tasks the attention and skill you would give to them one at a time. Rather, it means that you are spreading yourself and your knowledge and productivity thin between every single thing you are trying to juggle. It is not a sustainable way to live or work, and it’s detrimental to your results. It is entirely possible to be productive on a personal and organizational level, by moving away from multitasking or context switching and adopting IT strategies that work. If you are moving away from multitasking, prioritizing your to-do list is vital. Look at the list every day and decide what will have the most impact when completed. You do not have to do every single thing on the list in one day, so long as you have prioritized your items and generally mapped out anything that needs to be done on a deadline or in a time-sensitive manner. It’s okay, and actually encouraged, to concentrate time on one task. Focus on just one IT task or project and get it completed, or at least simply work on it until the allotted time is up. This ‘single-tasking’ might feel counterintuitive or strange in a world that revolves around who can get the most done in the shortest amount of time, but like that master baker found out, juggling it all leads to soggy soufflés. Devote the right time and the right tools to getting something done, don’t get distracted, and both your soufflés and your IT projects will turn out perfectly. It can also be helpful to block off time to deal with chunks of similar tasks, rather than hopping from one category to another. This is useful for times when you want to be productive but don’t have a major, single task. Put the focus on catching up your email in general, clearing out help-desk tickets, cleaning up computer files and running updates, making phone calls, etc. For IT professionals working in close conjunction with others (which is true for a lot of personnel) consider their own productivity needs alongside yours. If you have a question or concern for another staff member that does not need to be answered right away, consider sending a message or a request that can be dealt with on their own schedule instead of interrupting them. You can encourage the same in return by making it clear to colleagues that you are busy and cannot be interrupted. By protecting your ability to complete individual tasks, in priority sequence, you will in fact be more productive than you would if you continue to jump from one thing to another in the name of busy multitasking. Like the baker needs to give the right amount of time to each confection baking in the oven, you need to devote the right amount of time to your IT projects.